… is the first android app entirely created by the students ! This app is aimed at helping foreign tourists find their way in Charleville, jumping from a point of interest (POI) to an other. The interface must present a map of the city, and 6 main POI. For each POI, the tourist has the choice between an audio description made by a couple of students, or a wikipedia description from the internet. The students also give their advices about where to eat, where to have a drink … all in english. First, using the AppInventor interface, they had to design the app. Then, they had to brainstorm what could be the best content, the best way to present the city. Secondly, we selected Johann’s app (above). Afterwards, the students had to record their voices to describe the different POIs by groups. 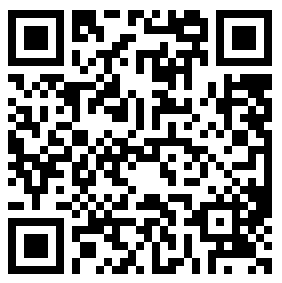 Finally, we built the app, and shared it via a QR code. Let’s check out the video to see how it works ! The last BUT NOT LEAST step was to present our app for tourists to the mayor of the town Boris RAVIGNON. During 1 hour, our students promoted their app and got many thanks from both the mayor (second from the left) and the headmaster of our high school Marc GUENIOT (first from the left). The media coverage was more intense than expected ! Charleville/Boris Ravignon visited The european class of the Lycée BAZIN. These students created an audioguide app running on Android devices.